I didn’t get that much sleep. High winds had buffeted Clark Tent all night long and I had been cold and shivery. 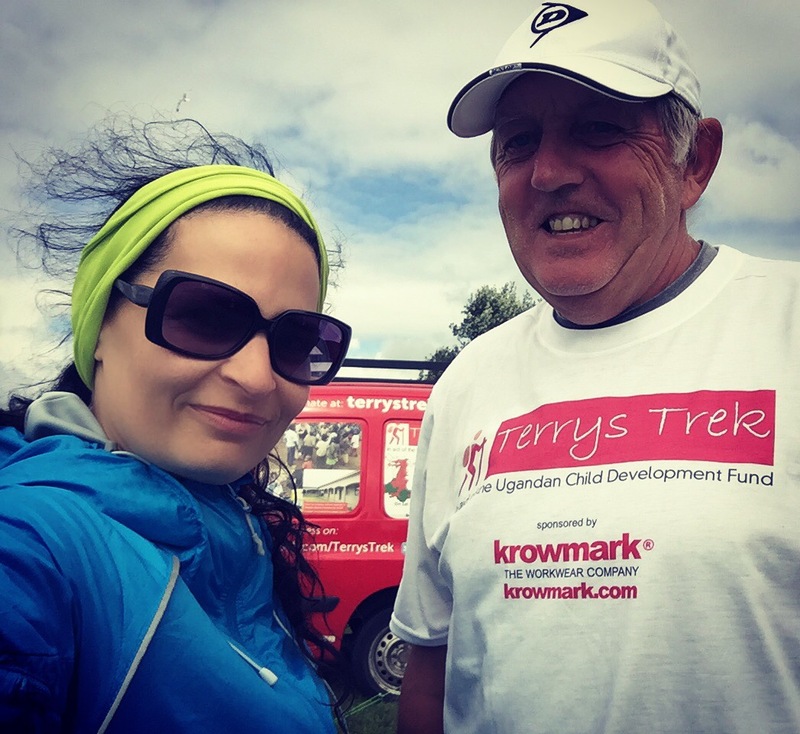 Terry came to the rescue first thing with a coffee and breakfast bar. A little after 10am I got a call from BBC Radio Cymru’s Bore Cothi programme. I had been invited on to talk to Shan Cothi about my trek. I spent about fifteen minutes discussing Cerdded Cymru as well as pancreatic cancer. Terry made me a hot chocolate and we talked for a while. With that, it was time to say goodbye. I felt so sad to be parting company with someone who had become a kindred spirit over such a short space of time. I cried when I watched his van drive off. And then, I was on my way once more. I needed to find my way back to the Wales Coast Path. I walked via Pensarn and crossed the railway line to get there. 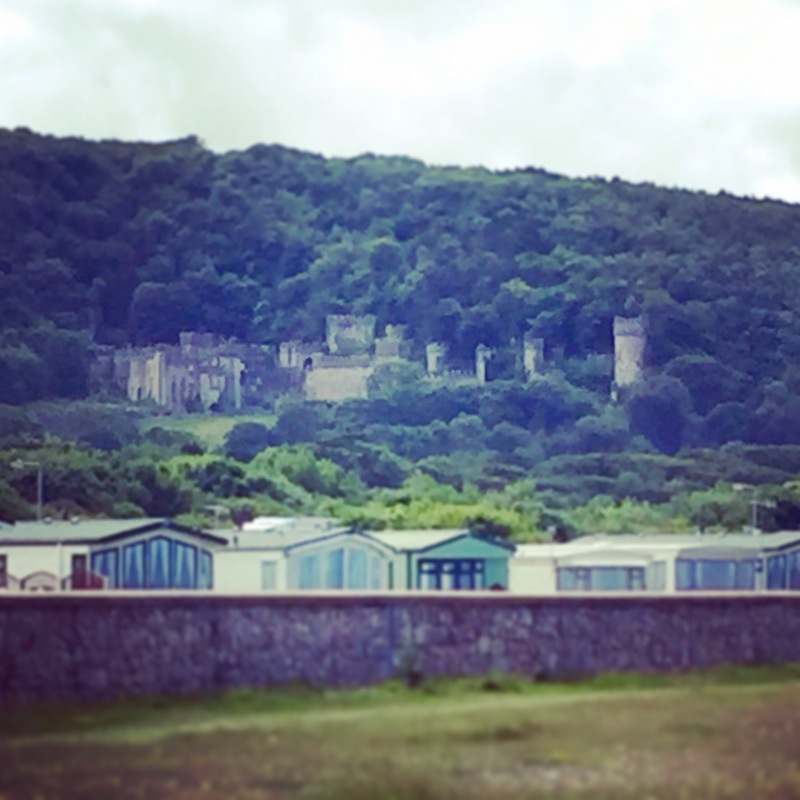 I passed chalet upon chalet, which contrasted with Gwrych Castle in the distance. 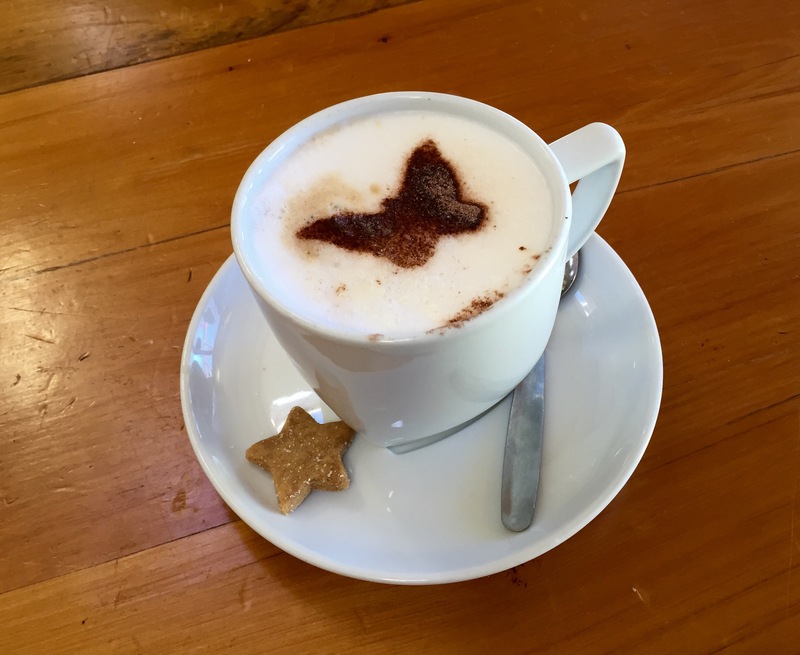 I stopped at a beachside resort cafe near Llanddulas for a coffee. I was accosted by a group of curious Liverpudlian women on the way in. This is by now a very familiar conversation and I enjoy people’s extreme reactions! My walk after that was uneventful. I enjoyed the feeling of the sun on my face and took in the views. 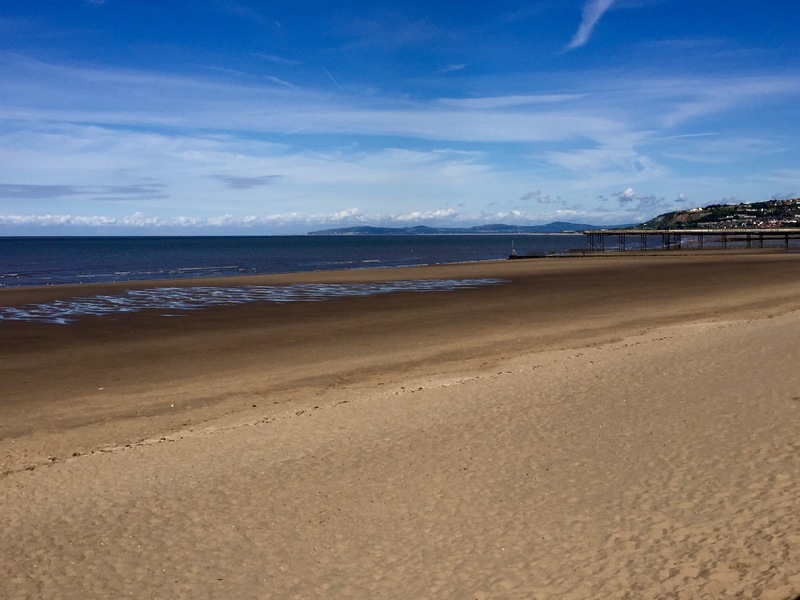 When I got to Colwyn Bay, I could look back and see where I had walked from. I saw Rhyl way off in the distance on the tip of the headland opposite and felt incredulous that I had come this far on foot. Sometimes the numbers seven, nine or twelve miles can feel disappointing. But actually seeing the distance is gratifying. And my pride was amplified when I reached Llandrillo-yn-Rhôs, where I could truly survey how far I had come.